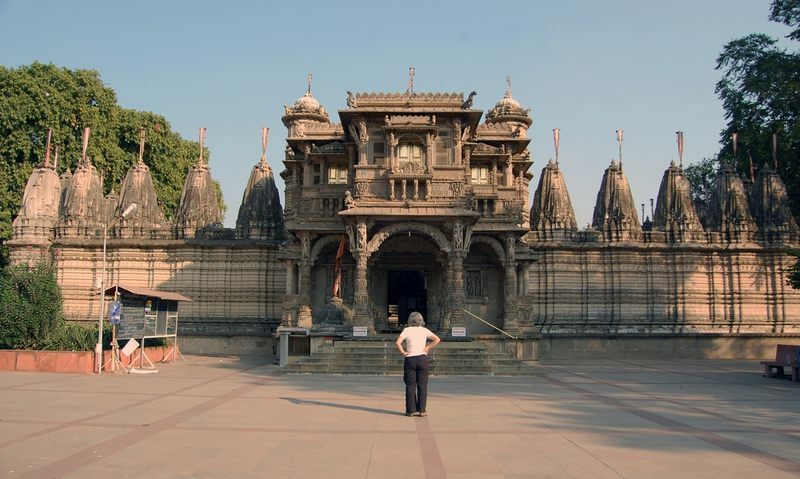 Among the Jain temples, the only world famous temple is known as Hathisingh�s temple. It is situated on the way to Shahibaug. Sheth Hathisingh Kesarisingh built this unique temple. 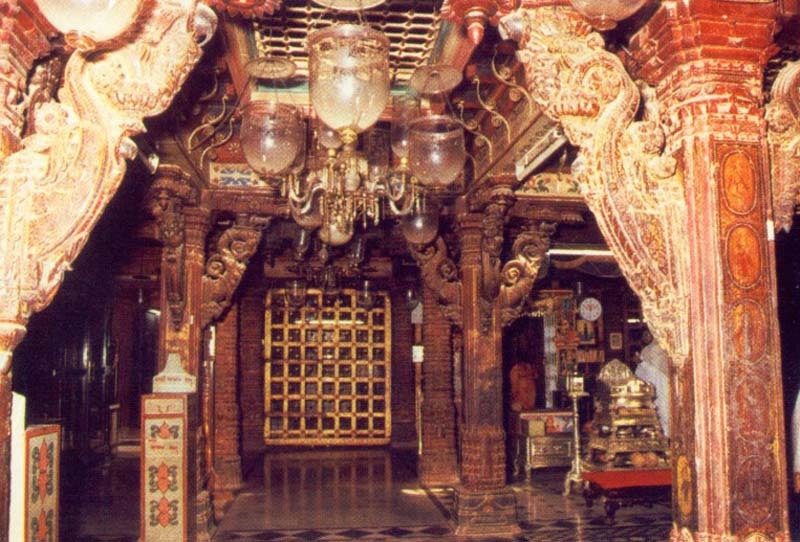 The year in which the foundation stone was laid to build this temple, Sheth Hathisingh passed away. The remaining work of the construction was completed by his wife Harkunwarba. In the campus of this temple, there are fifty-two Jain temples. The image of the chief deity of the temple is of the fifteenth Tirthankar Dharmanathji. It was ceremoniously established in 1847. As we enter the campus of the temple complex, we can see the image of Osia Mata, the deity of the Oswals. This is the only image of Osia Mata in the entire city. Premchand Salat designed the building of this temple. Shantidas Zaveri, a Jain merchant built a beautiful Chintamani Derasar in 1626. When Aurangzeb was Governor (Suba) in the time of Shah Jahan, he polluted Chintamani Derasar. In course of time, the derasar was destroyed. But Shantidas secretly saved the images by hiding them. French traveller Theveno visited this damaged derasar in 1686. About 180 years after, the heirs of Shantidas installed the image of Lord Adishwar in Zaveriwad in 1943. Another image was installed in the cellar of Jagvallabh in Nisha Pol and the third one was installed in the temple of Suraj Mahal. Thus, all 21 images were installed. 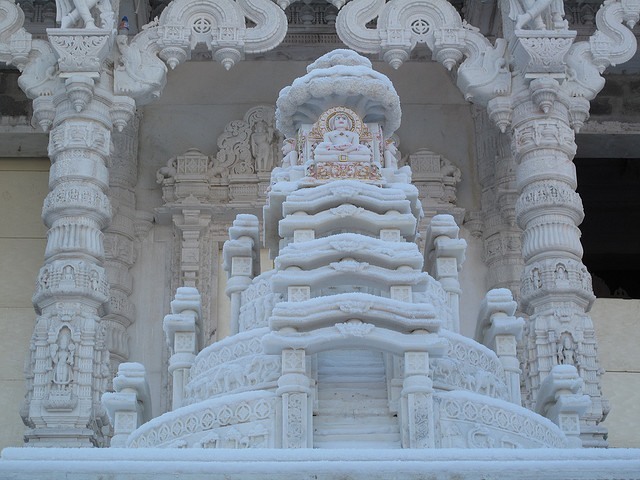 There are many beautiful Jain temples shining like ornaments in the city. Numerous Jain temples are situated in Zaveriwad. There are well known ancient Jain temples like Ashtapad temple in Doshiwada�s pol, Sametshikhar temple in Mandvi-ni-Pol, Mahavir Swami�s temple at the corner of Fatasha pol and Shri Manibhadraji�s temple in the street of Rupam Cinema. 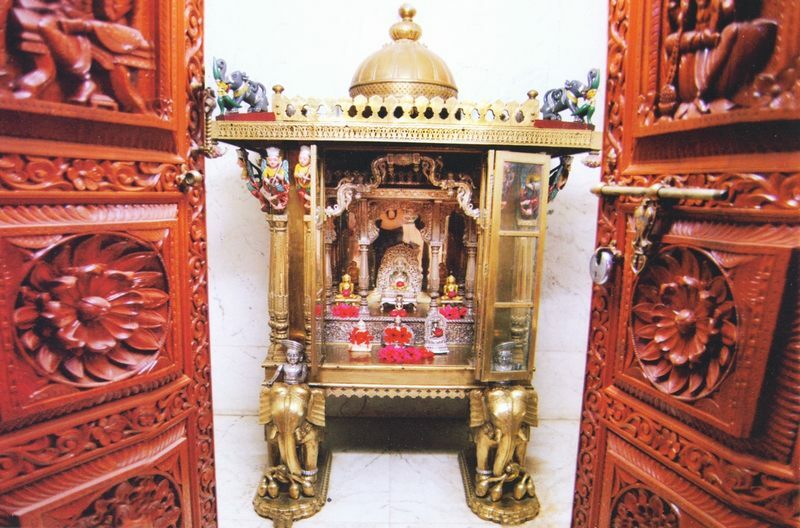 The Dharanidhar Jain temple enjoys a great importance. The image of the future Tirthankar Shri Simandharswami is ceremoniously placed on the terrace of the building at the bank of river in Usmanpura by Dada Bhagwan Foundation. This is the only Derasar, a Jain temple on the terrace. 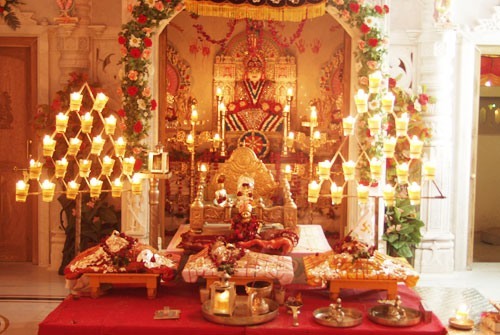 Some wealthy Jain families maintain Home Temple (Ghar Derasar). According to my survey there are more than four hundred Jain temples of different kinds, namely the temples having the peak, those having the dome and the Home Temples. We find the impact of Jainism clearly in the development of Ahmedabad.